Presto's window glass restoration services removal all types of window glass damage including but not limited to all types of stains, spots, streaking as well as deep and fine scratches. Our process removes a thin layer of glass and creates a new finish for the glass surfaces. After the window glass restoration services we protect the newly restored window glass surface with a high performance silicone protective treatment that will last up to 20 years and help to protect the surface against stains or scratches reforming. We have been performing exterior window glass restoration services for commercial multi-story buildings nationwide for over 24 years and have services hundreds of buildings using our proven restoration products and services for exterior window glass surfaces. View our case studies to sample a few of those buildings. We specialize in exterior window glass restoration services as well as the restoration of architectural precast concrete stone and all types of architectural metal surfaces such as anodized aluminum and aluminum composite panels. We also provide all types of waterproofing for commercial building exteriors. Presto's window glass restoration products and services are the highest performing glass restoration and protection options available on the industry. Created with over two decades of research and development, no other company can come close to the quality or return on investment that you can achieve with Presto's window glass restoration products & services. Our window glass restoration services leave no optical distortion of any kind even when viewed in direct sunlight. You don't have to worry about us burning the glass with acids or scratching the glass with harsh abrasives which is common with just about every other glass restoration product & service in the industry. Our window glass restoration service is unsurpassed in the industry. 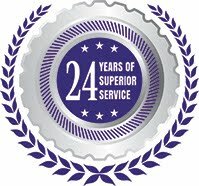 If you would like to request that we inspect your building and provide our detailed analysis as the problems effecting your buildings window glass as well as our recommended window glass restoration products and services as well as pricing, fill out our Request For Proposal Form or call us at 1-800-693-1228. Please note that we only work on large projects.